Nio Tavlos has suffered from severe chronic depression for years. A 67-year-old artist, his doctor-diagnosed disorder is sometimes so bad that he loses focus and can’t get out of bed. According to Tavlos, the only thing that can help get him through the most debilitating days is his four-legged lifeline: a 12-pound Poodle named Diego. Wanting to split his time between Chicago and New Mexico, Tavlos and his wife moved into a condo unit in a 36 floor Lakeview high-rise seven years ago. 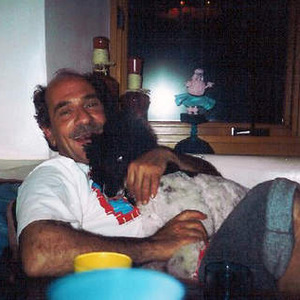 In 2007, Tavlos made a request to the condo association, hoping that they would allow him to bring his beloved dog with him as a service animal. His request was denied – as were the many subsequent requests he has made since. In all, Tavlos has been fighting for the right to live with his service dog for nearly six years. Even two letters issued by Tavlos’ doctors went unanswered, the condo association repeatedly denying any request that would allow service dogs access to the building. Tavlos’ wife, Janice Pantazelos, describes their unit as completely soundproof. Pantazelos, an opera singer, practices at the condo frequently. “No one’s ever complained,” she insists. She doesn’t understand why her husband’s Poodle is being denied access to the building if Diego’s presence won’t disrupt others. Tavlos has taken his fight against the condo association to the Illinois Department of Human Rights. Last Tuesday the department filed a lawsuit on Tavlos’ behalf, arguing that the condo association was in violation of anti-discrimination laws. The lawsuit also stipulates that the condo association must make reasonable accommodations for people living with disabilities and receive training on fair housing practices. In the meantime, Tavlos is determined not to feel defeated, something that is proving to be quite difficult when he misses his best friend so much. Diego is currently staying with a caretaker back in New Mexico while Tavlos anxiously awaits the final ruling. He says it has been particularly tough to watch other people walking their dogs along Lake Michigan.